TravelpharmTravel AdviceDo I Need A Travel Vaccination For My Holiday? Have you ever considered that you may require special vaccinations when travelling abroad? 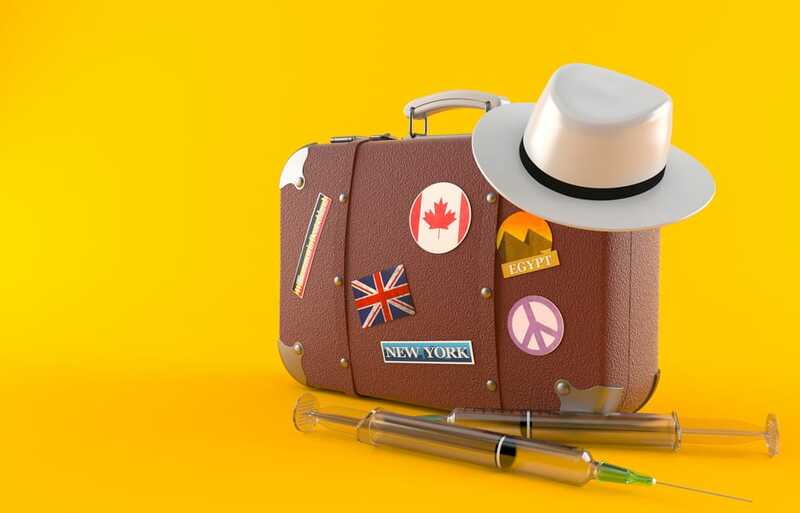 If you have booked your next holiday outside of the UK, you may need to be vaccinated against travel-related infections such as yellow fever, typhoid, hepatitis A or B and meningitis. If you are travelling to countries in central Europe, Australia or North America, you are unlikely to need travel vaccinations. But what about those countries where the risk is much higher? Some countries require you to have a Certificate of Vaccination before you enter, especially if you are entering countries coming from areas with high risk of Yellow Fever. Certificates are required to prove that you have been vaccinated against specific diseases. Don’t leave it to the last minute to get your jabs, as some require to be active in your body weeks, even months in advance. The best thing to do is get in touch with your GP to find out more about what vaccinations you may need. You can also get in touch with us, and we will be able to advise you. You can also use our Malaria Map to find out what vaccinations you will need for the country you are travelling to, as well as finding out if you will also require protection from malaria! Some diseases are more common at certain times of the year, as well as more specific to certain countries or regions. You may also need to factor in your duration of stay in the hot spots and what potential activities could further expose you to risk. You may also want to consider being careful around animals you may run in to during your holiday, the main culprit here being rabies. You may also want to make sure your non-travel vaccinations are up to date before you travel also. Better safe than sorry! If you want to get your yellow fever vaccinations through us, we currently have four Travel Clinics that have been accepted as yellow fever vaccination centres. We are able to offer Yellow Fever at our clinics in Kimberley, Newark, Burton on Trent and Derby.Our travel clinics are linked with Manor Pharmacy, which means we are able to offer travel vaccinations at various branches around the East Midlands, if you would like to book an appointment, then you can do so using our online booking system.